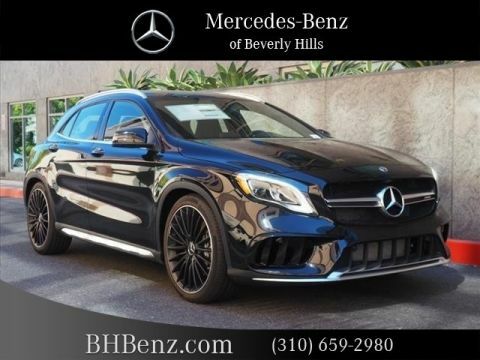 Only 3 AMG® GLA 45 SUV models left in stock! 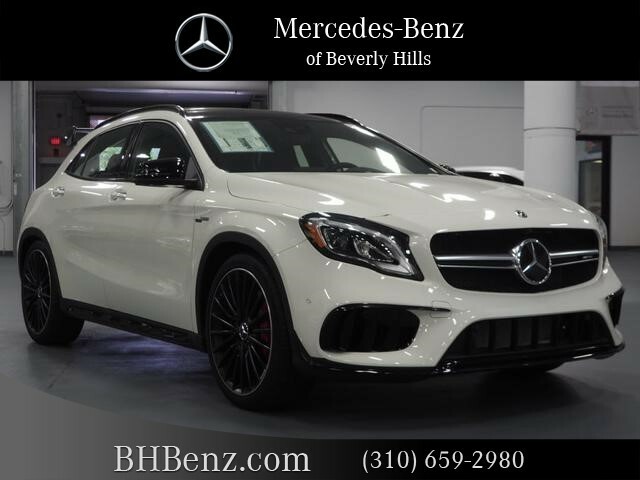 We are excited to offer this 2018 Mercedes-Benz GLA. This Mercedes-Benz includes: PREMIUM PACKAGE WHEELS: 20 MULTI-SPOKE BLACK AMG ILLUMINATED DOOR SILLS MULTIMEDIA PACKAGE AMG PERFORMANCE EXHAUST SYSTEM AMG NIGHT PACKAGE AMG AERODYNAMICS PACKAGE CONVENIENCE PACKAGE PARKING ASSIST PACKAGE ALUMINUM TRIM CIRRUS WHITE DRIVER ASSISTANCE PACKAGE AMG PERFORMANCE SEATS INTERIOR PACKAGE AMG NAPPA/DINAMICA PERFORMANCE STEERING WHEEL PANORAMA SUNROOF AMG RED BRAKE CALIPERS HARMAN/KARDON PREMIUM SOUND SYSTEM BLACK, LEATHER UPHOLSTERY WHEEL LOCKS (PIO) LED LOGO PROJECTOR *Note - For third party subscriptions or services, please contact the dealer for more information. * Want more room? Want more style? This Mercedes-Benz GLA is the vehicle for you. Pull up in the vehicle and the valet will want to parked on the front row. This Mercedes-Benz GLA is the vehicle others dream to own. Don't miss your chance to make it your new ride. 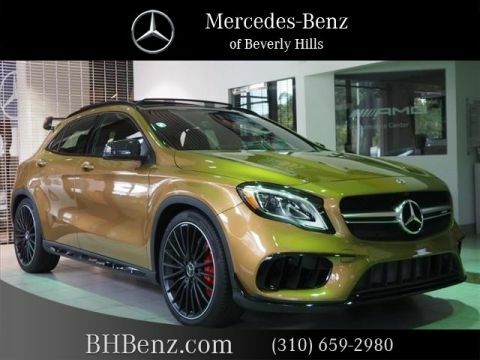 Enjoy the comfort and safety of this AWD Mercedes-Benz GLA AMG GLA 45 equipped with many standard features found on other vehicles as optional equipment. We look forward to seeing you soon! Please call us for more information. 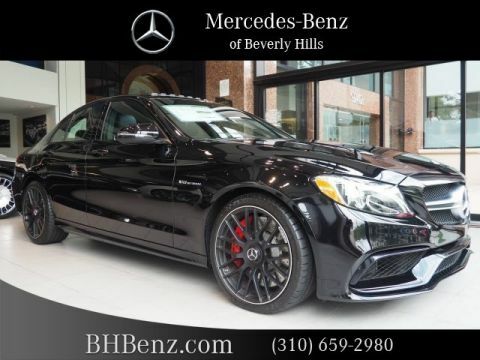 Mercedes-Benz of Beverly Hills knows that we wouldn’t be the successful dealership we are today without the commitment of our team. Everyone in our dealership, from managers to service techs, provide the best service to all our customers. No matter what you may need from us, you can count on someone from our team to provide you with the information or service you command.